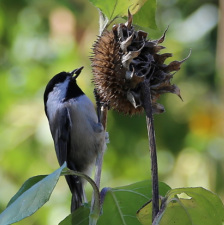 The Sunflower Community Project is a new citizen science project out of CU Boulder exploring how native sunflowers have adapted to urban and rural environments. Gardeners in and around Boulder, CO are asked to plant sunflower seedlings in their community gardens and take simple measurements on the plants throughout the summer and fall. Meet the Sunflower Community Project Team!